I would like to tell a story about lip pencils and how I got into them after my whole love affair with lipgloss and before my still ongoing love affair with lipsticks. Yes, I am now a self-confessed lipstick semi-hoarder. I would also like to tell the tale of how when I get into particular brands I tend to exhaust as much of my options as I possibly can and if only, budget permitting, I will try to collect a whole arsenal for the entire face application from that one brand I am into at the moment. 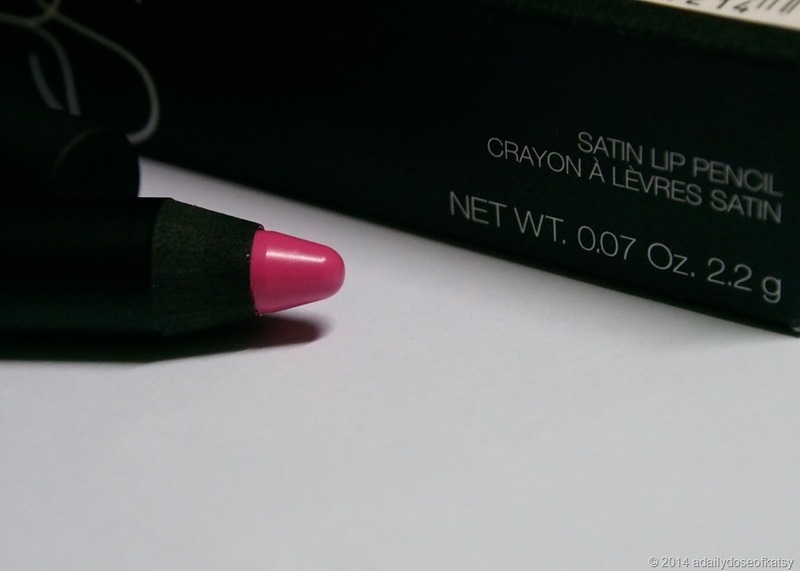 Or at least the very basics of color – blush, eyeshadow, lipstick. Yes, I would very much like to tell that tale but for now, let me focus on my fascination that I have dubbed as my chronicles of Nars-nia. I have to write a disclaimer at this point as transferring files take a lot of time and while waiting in the wee hours of dawn, I suddenly thought of finishing this review, finally, with words as the photos I have edited and laid out already approximately two weeks ago. And yes, I am incredibly sleepy as of this writing. But as with practically all talk on makeup, I feel my fingers typing and words coming out. Let me just reread this tomorrow when I wake up. My Nars kick started with the Nars One Night Stand Palette that I am absolutely, 100% glad that I purchased. Those blushes are just divine and save for Laguna which I somehow don’t see showing up on my face (but maybe that’s better so that I won’t look overly sunburnt). I then turned my hoarding tendencies to the Narsissist Eye Palette and pre-ordered it from a local reseller but sadly, I have been informed that it has been backordered and she would have to refund my payment. I’m still contemplating quite heavily if I still want it though as if I don’t get it, I would have saved money for the upcoming Japan trip but I would not have a single Nars eyeshadow to my name. Which for all intents and purposes of my collect and curate method simply wouldn’t work as the said palette contains 15 of Nars eyeshadows already meaning I wouldn’t have to buy another Nars eyeshadow in my immediate lifetime. But let’s move on once again to the Nars Lip Pencil. I had three objectives to this particular acquisition – 1. I wanted to try out the My Shopping Box service that comes free with a BDO Credit Card. 2. I wanted to try out a Nars Lip anything but was too scared to go for the bright pink of the Nars Schiap (yet I wasn’t too scared for MAC’s Candy Yum Yum apparently which is another story on its own). 3. I had to get something from the Nars Final Cut Collection which looked absolutely pretty in all its pink glory but was sadly a Nordstrom Exclusive. I was successful in accomplishing these 3 but a word to the wiser – do not use My Shopping Box to purchase a single item close to a thousand pesos. I ended up spending almost 2k for this pencil alone which makes it more expensive than my precious Chanel Pygmalion. Sure Nordstrom sent me 3 free samples but still, I don’t think it was worth the shipping cost that the huge box incurred. I say huge as for a single Lip Pencil, two fragrance samplers, and one skin sampler, the box was unfortunately filled with tons of paper that could otherwise be replaced with bubble wrap but I don’t think they’ll go for that as I’m sure it would be a more expensive overhead. But look at that color – a bright, blue-based pink that is sadly too cool-toned (maybe?) for my skintone. 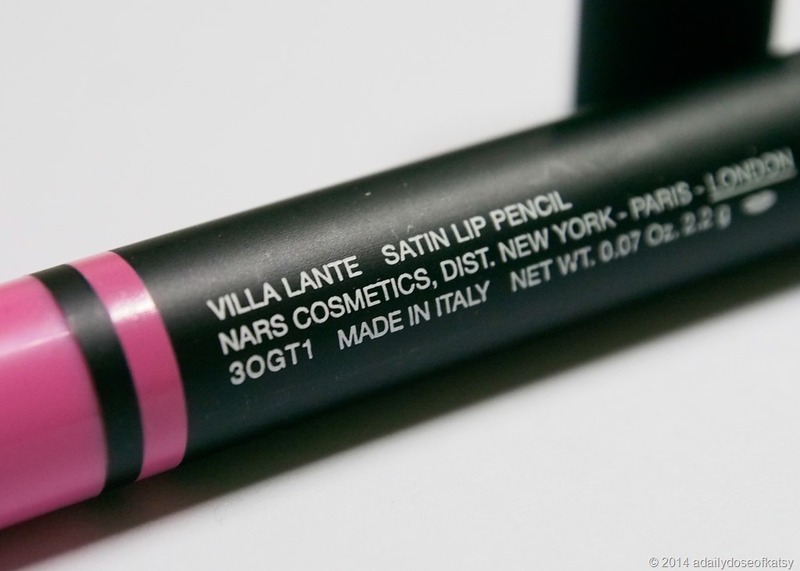 I got the Villa Lante Satin Lip Pencil from the Nordstrom Exclusive Final Cut Collection as I have read great reviews on the Satin Lip Pencils more than the Velvet Matte ones. It is a tad pricier than my original favorite the Stila Lipglaze Sticks which unfortunately have been phased out. 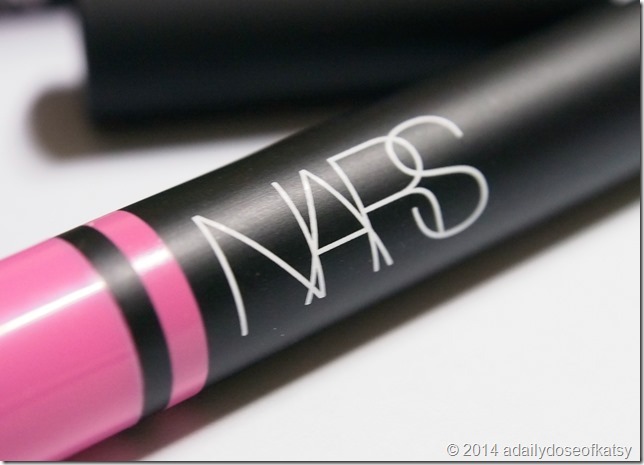 The color payoff though of the Nars is quite true to swatch and glides smoothly on. 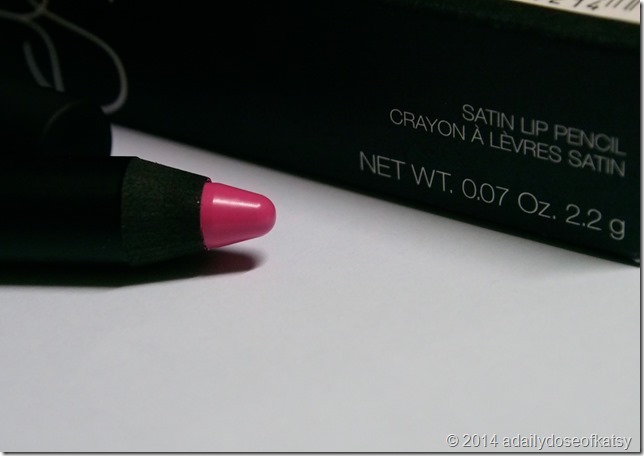 It is more a lipstick feel than a lipgloss one as it does not have that shiny glossed up effect. Sharpening feels wasteful though compared to the Clinique Chubby Sticks which run on auto mode. 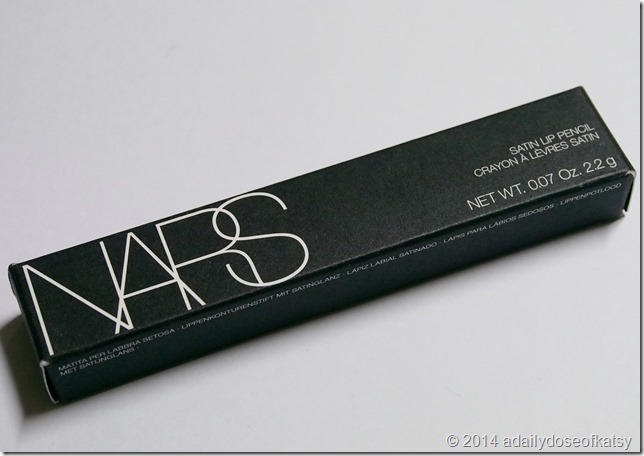 However, the classic black and white Nars branding garners more chic points from me. The color of the Lip Pencil shown at the other end of the stick provides an added bonus but I have doubts for its appearance once you’re near that other end. Not to mention the fact that the name can easily be sharpened off and you’d have to guess after that. Or maybe just keep it in its box for easy labeling. The swatch on the left is heavier by two swipes than the one on the right. It’s lighter than I would have liked but a little layering would solve the problem like Carina of Softly Sometimes advised me when I commented on her blog post for her own Nars Final Cut picks which you can check out here. 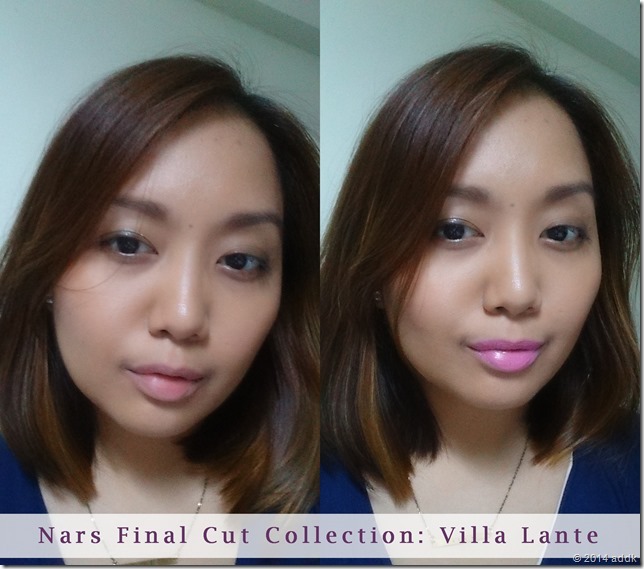 Here are some face shots I prepared with my natural lip color on the left and Villa Lante on the right. I think I can work with the color on its own without layering but I have to pair it with a certain kind of eye makeup as without any on, I feel like it looks a tad too pale. If unpaired with eye makeup, I’d have to resort to a little bit of lip layering. Staying power is around 2-3 hours provided I don’t eat or drink anything but it does fade out to the faintest tint after a while. It also doesn’t do much for my perpetually dry lips because if I don’t properly prepare with a generous slathering of balm before the color swipe, I find that the Lip Pencil dries out my lips a bit. 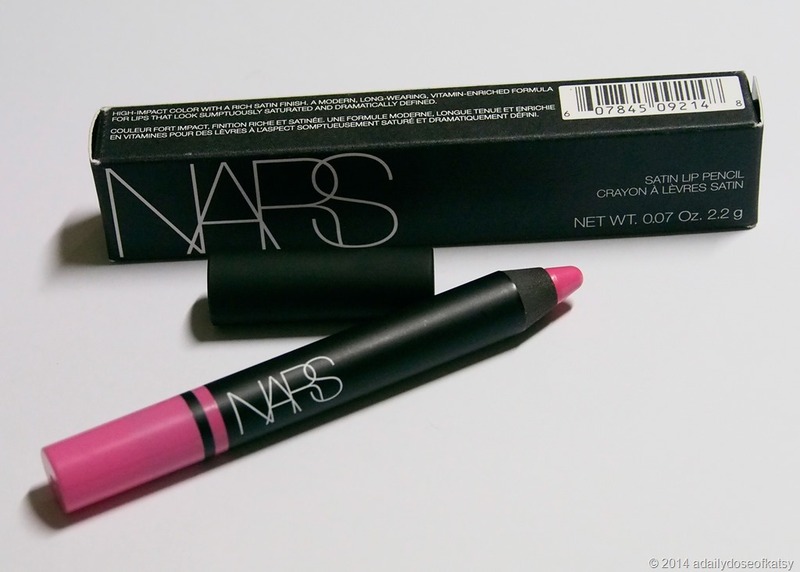 But not so much like the matte Candy Yum Yum which I love but I have to be extremely careful with. 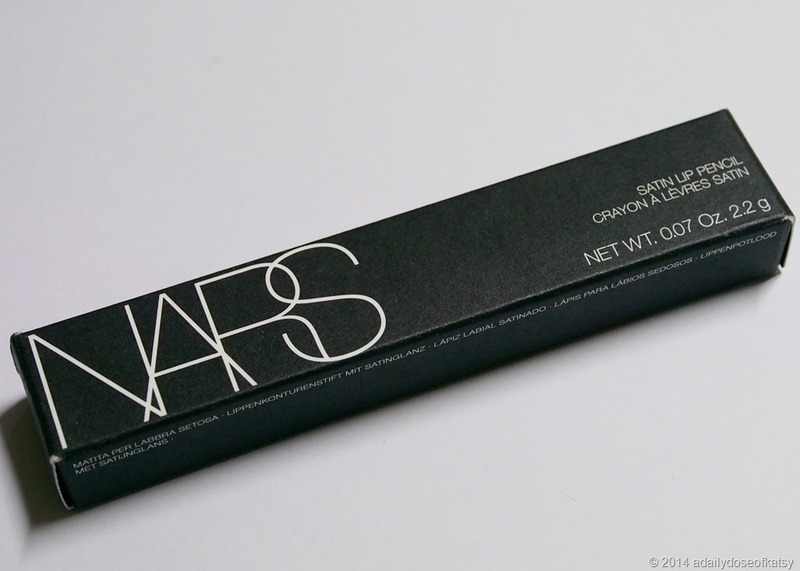 Overall I’d have to say that my first foray into the Nars Lip Pencil world was quite an expensive one and a 50/50 experience at that. I am not head over heels in love with the color and it’s not something that I would be wearing on a regular basis as it calls for a certain makeup look to make it work. I would still try though to pair it with a quick eyeliner look just to make it more worth it for me. 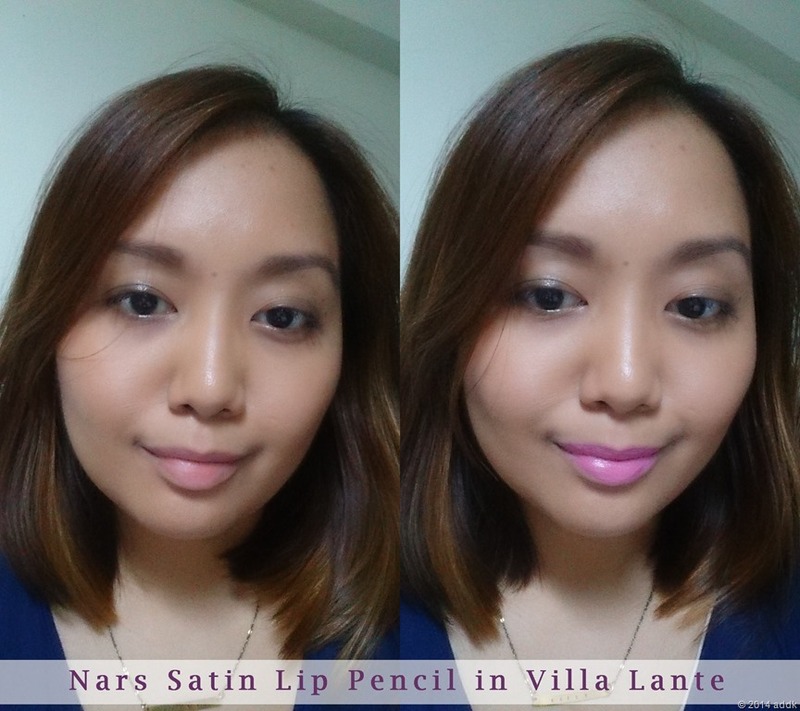 I would probably get another Nars Lip Pencil along the way but it would be a longer way off as even though the convenience of the Lip Pencil which works as liner and lipstick in one gets plus points, I still feel the whole sharpening part a tad too wasteful for a relatively expensive product. thanks Hazel! 😀 I’d really like to make the shade work on me as it did cost me quite a bit with the shipping and all. Foolish little me. LOL. I remember when I used to feel really bad every time I sharpened my Stila Lipglaze Stick (which was my first ever purchase from Sephora that I hunted down in HK) as it was expensive. But I got used to it eventually as it really loses shape quite quickly. But that one was a gloss while the Nars Lip Pencils are sturdier so hopefully not so much wastage. But I’m already cringing because I’m sure there still will be. 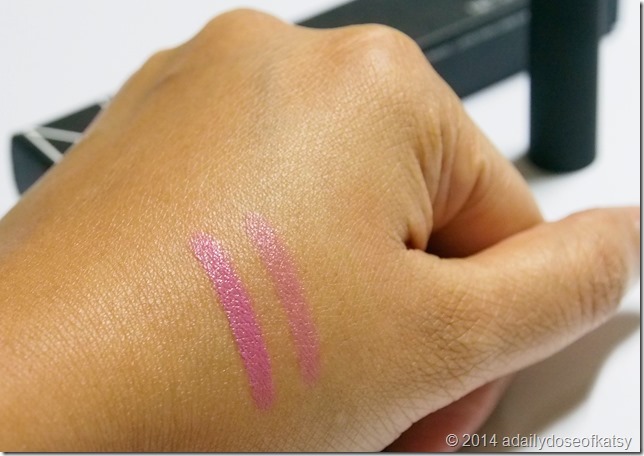 This looks a lot like MAC Pink Plaid pero hindi matte. Parang I like this more. Hihi when you commented on this post I suddenly remembered villa lante and have been wearing it quite frequently since then. 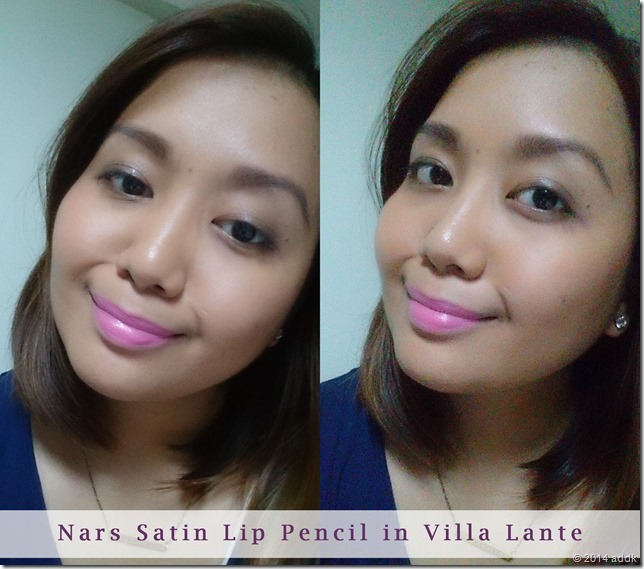 Apparently I really like the texture of this nars pencil and the color payoff is great as well. Lovely color for summer. I haven’t seen pink plaid though kasi I don’t usually go for this type of light cool pink.